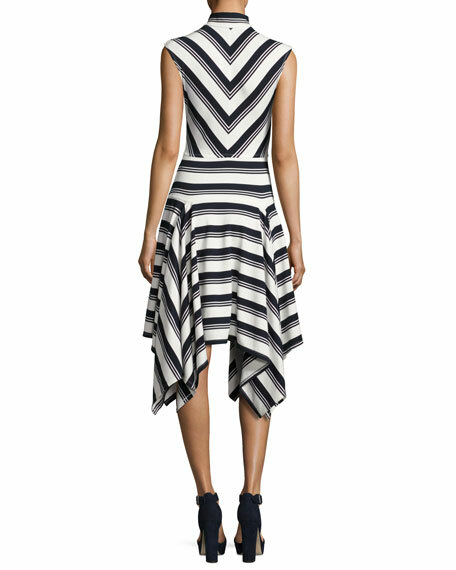 Derek Lam 10 Crosby stretch jersey dress in mitered stripes. Mock turtleneck with V'd keyhole front. 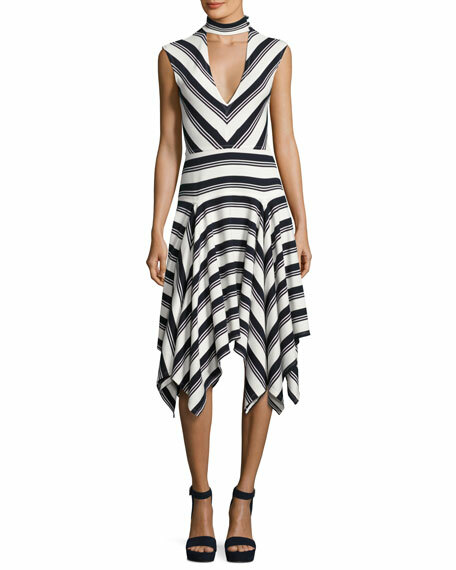 For in-store inquiries, use sku #2152078.